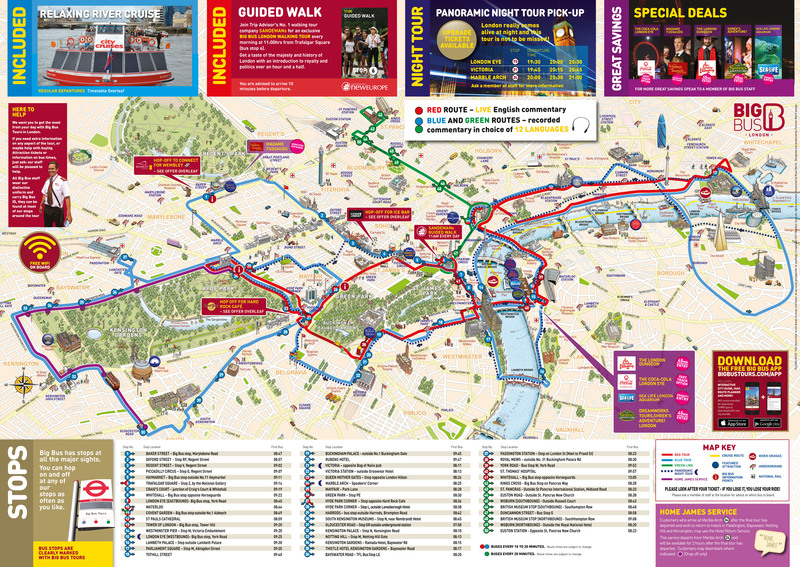 Travel around London and hop on and hop off as much as you want with Big Bus London. Conducted in an open-topped double-decker bus, this London Hop-on, Hop-off tour has three routes and more than 50 stops cover all the best-loved London attractions. Frequent departures mean that your precious London sightseeing time is not wasted waiting for buses. The tour departs from various London locations. You can board the bus from any of the stops. Live guided commentary will be available as well as audio commentary in 8 different languages on all the hop on hop off buses. Excellent. We were very fortunate on our red tour to have a great tourist guide. She was brilliant. Think her name was Gigi.